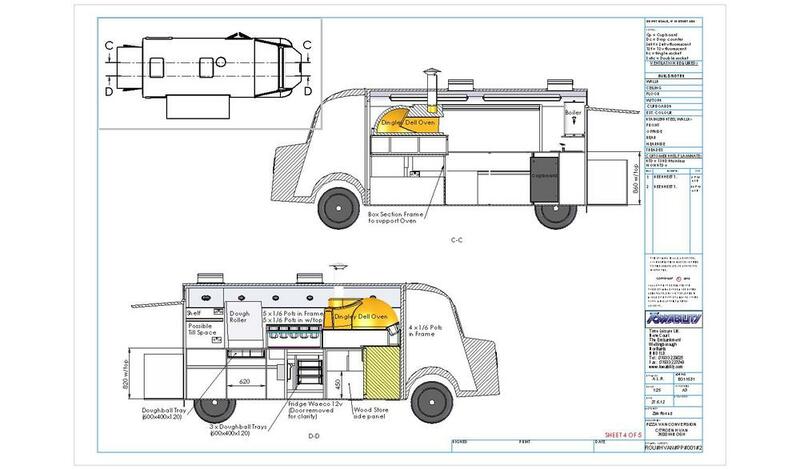 Having bought the van and the oven we needed to find a company to turn our van in to a dream pizza making machine. We were recommended a company called ‘Towability’ who have lots of experience refurbishing Citroen H Vans as well as much bigger trailers and are currently working on vans for Mr Jamie Oliver. 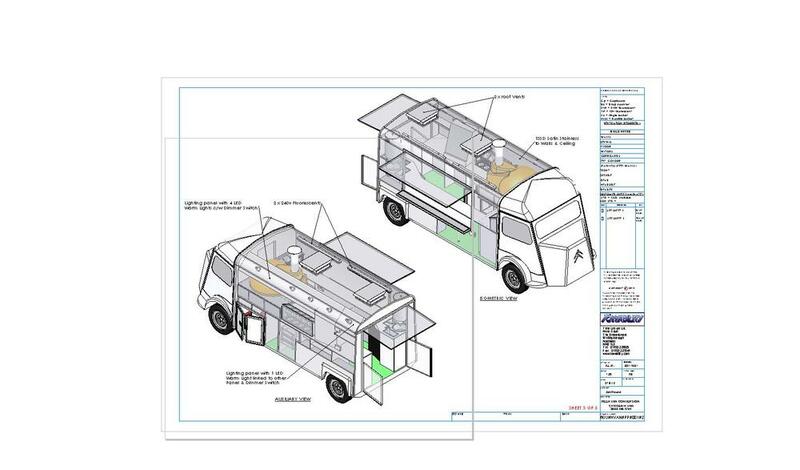 With the dream team of Towablity and Jay the pizza van guru we came up with these plans.